I’m so tickled to introduce you to my newest collection – Vintage Treasures. My name is Becca Feeken with Amazing Paper Grace; I’m a legacy maker. In other words, I love to make and give tangible things that come from my heart and will stand the test of time. Sometimes the test of time is that it sits on someone’s desk for a month, sometimes it means that they stow it away in a box to pull out for memories years later, or sometimes it means that they pass it along to someone else. The way that I feel about making heart created things that people can actually touch and feel, was the inspiration for this collection. There is a special place in our hearts for those things kept in a hope chest. Other than a promise of the future, they symbolize things of value and keepsakes that bring back treasured memories. I delved there to find memories, filigree jewelry and keepsakes of old. From long-forgotten turn of the century jewelry to the edgings on an old tattered handkerchief, I love bringing the past into the present in a style that is ….well, timeless. These things – bejeweled lockets, a sweet tiara and vintage adornments from long ago – provided the sweet inspiration and restoration of some lovely, lovely Vintage Treasures. I’d love to take you through a tour of the designs in the Vintage Treasures Collection. I’ll start off with my first basics groupings. 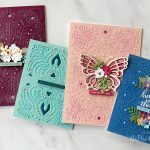 As a card maker, I look for four classic shapes (Rectangle, Oval, Square, and Circle) to layer and embellish what I already have in my stash and that’s typically what I include in each collection. 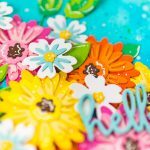 These multi-functional dies cover the bases and are packed full of rims and inlays to give you options on how to use and embellish with them. 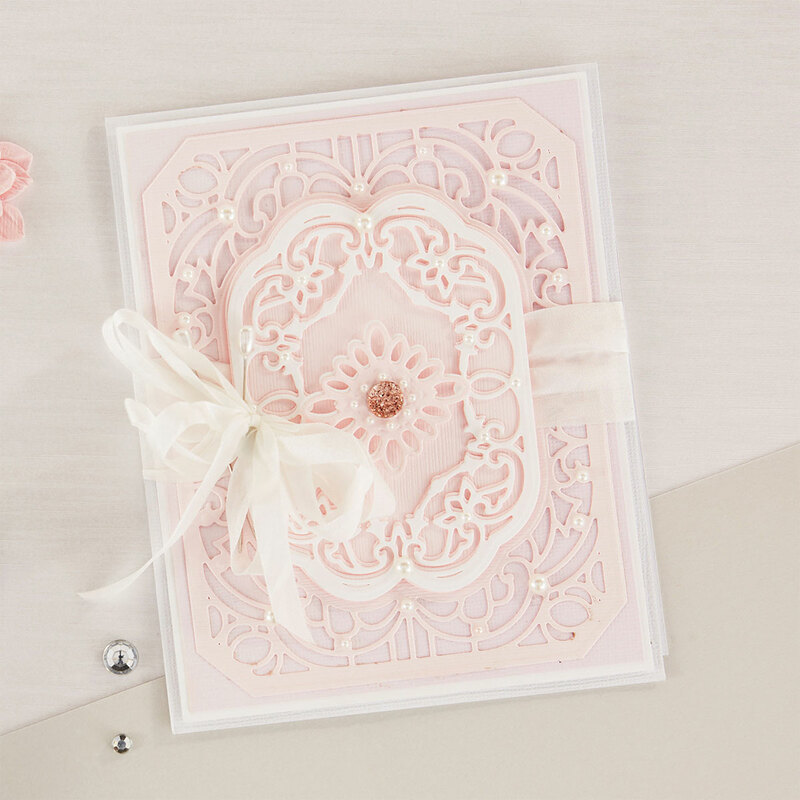 Vintage filigree patterns combined with detail embossing make beautiful inlays to the classic square shape. This one features an outer rim and an inner rim that cuts a label worthy of a sentiment. Layer it up with a classic square and the unique corners become an embellishment. Clipped corners give way to an eight-sided rectangle designed to embellish all the rectangles in your stash. This one features an outer rim, a gorgeous inlay and an inner rim with a label. That combination gives you an all in one design that’s robust enough to create a card front or several when you swap elements. My recent Gilded Age collection brings the same nested eight-sided rectangles that match this die as well as the glimmer plates to embellish that unique shape. Based on a beautiful genre of jewelry of the past, I’ve brought this filigree to the present with an exaggerated rounded oval that is fat across the middle. Because I love layering, this is a unique oval shape is perfect to layer on top of or with other ovals. 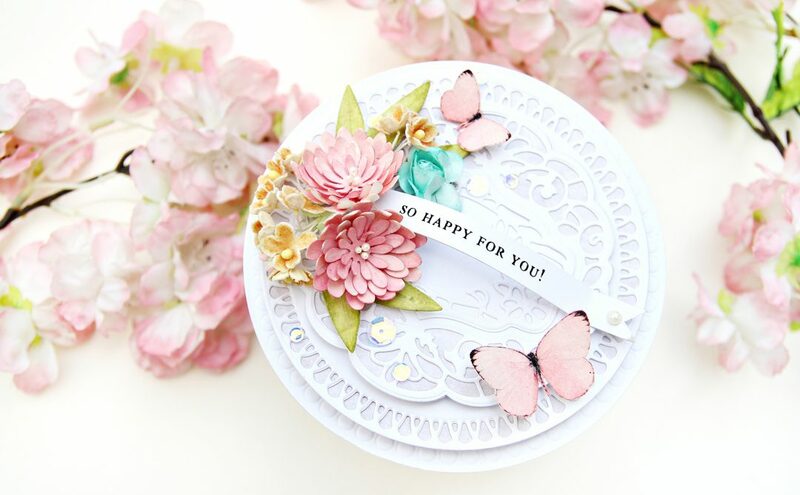 To get the most flexibility, I’ve included an outer rim and inner rim that will allow you to layer a sentiment while the fancy inlays have clean, classic, feminine lines. 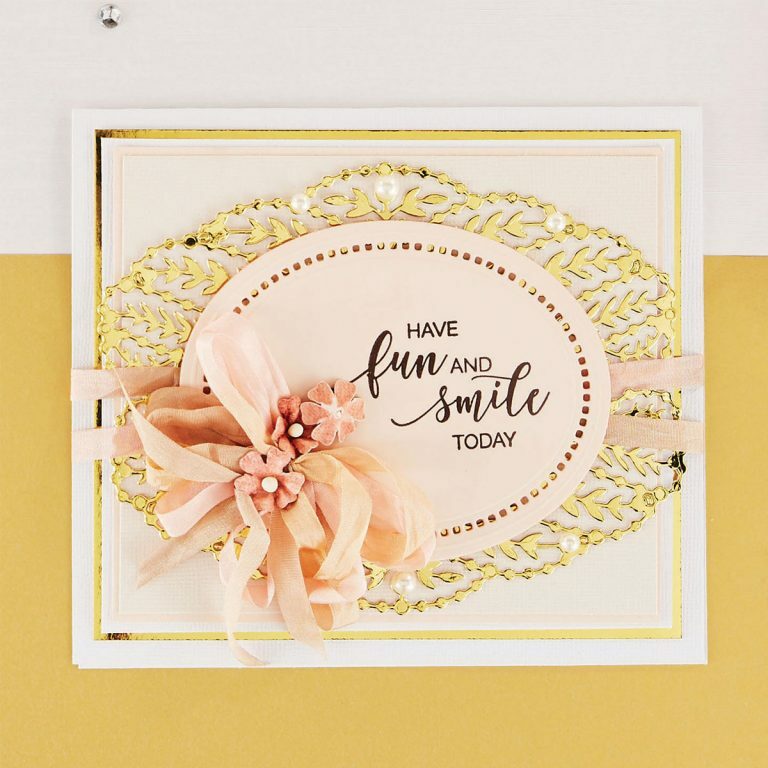 The circle shapes within give you a basic rim, a lovely label and the ability to add or subtract elements to create a different look. The inlays are remarkable and even the right combination will allow you to extract a lovely medallion or doily shape. The last basic shape is a circle with a great deal of texture and detail. With layering circles to add to your round repertoire, the detailing on this die is meant to be a companion to what’s already in your stash. 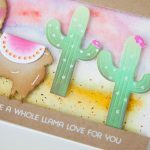 Never fear though, it is show-stopping on its own but the entire set can be cut so many different ways to give you a lovely backdrop for any element you desire to show. There are a number of split rimmed borders in the collection. 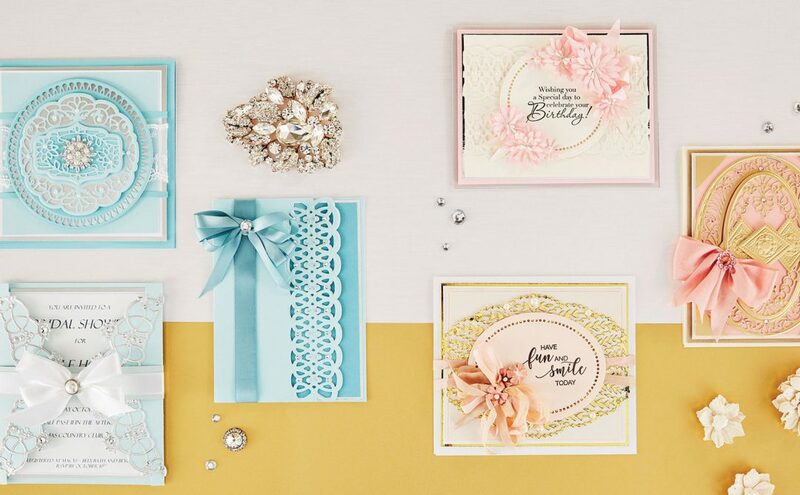 These clever pieces either give you a whole cut border or you can edge the top or bottom or both on a panel for a sweet background. This embellishment die has so many lives, it’s a border, it’s a topper, it’s a panel. With an elegant but floral flair, petite fleurs were added to help you grow your garden. One of the dies is an inlay and one can be cut out wholly – I’m tickled by the versatility of the set. This is a small, compact border full of delicate detail that’s perfect for the top, bottom or side of a card panel. The vintage detail pattern makes it quite unique! It was kept compact to make it a great candidate to use on little boxes and baskets as well. If you could pull an heirloom bracelet from the Hope Chest, you’d have the Infinity Link pattern. Here, it works as a border in a length that makes it perfect for a topper, footer or side panel. There is nothing to say it won’t wrap around a box or a candle with it’s lovely pattern. I can’t even think of all the ways it can be used as an embellishment! The curved presentation of this intricate border hearkens back to nobility of old. Small, petite and perfect for tucking under edges while commanding enough elegance to stand out front, the flexibility to put this border anywhere makes it an agile companion. 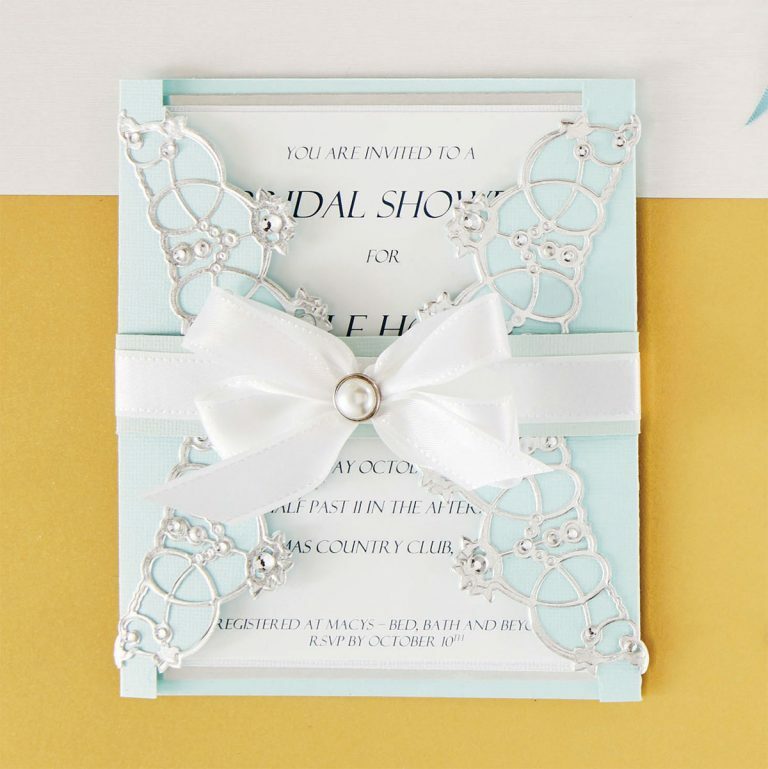 The next cluster of dies sets are showpieces – they are commanding on their own. 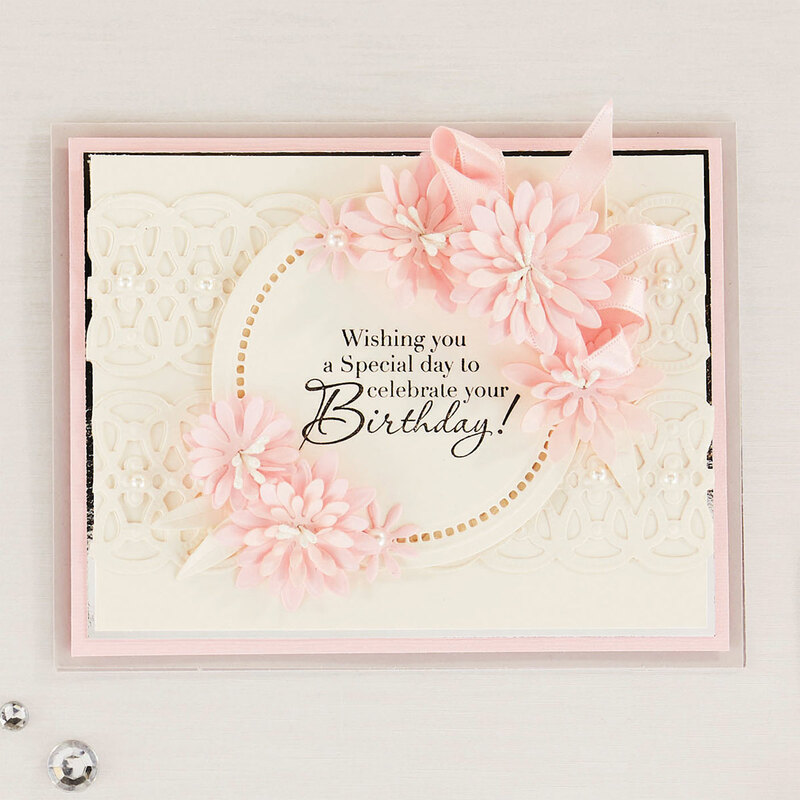 Bold enough to be the backdrop for any card or decorative base, they are unique and timeless – grounded in classic design and are meant to send your creations over the top. 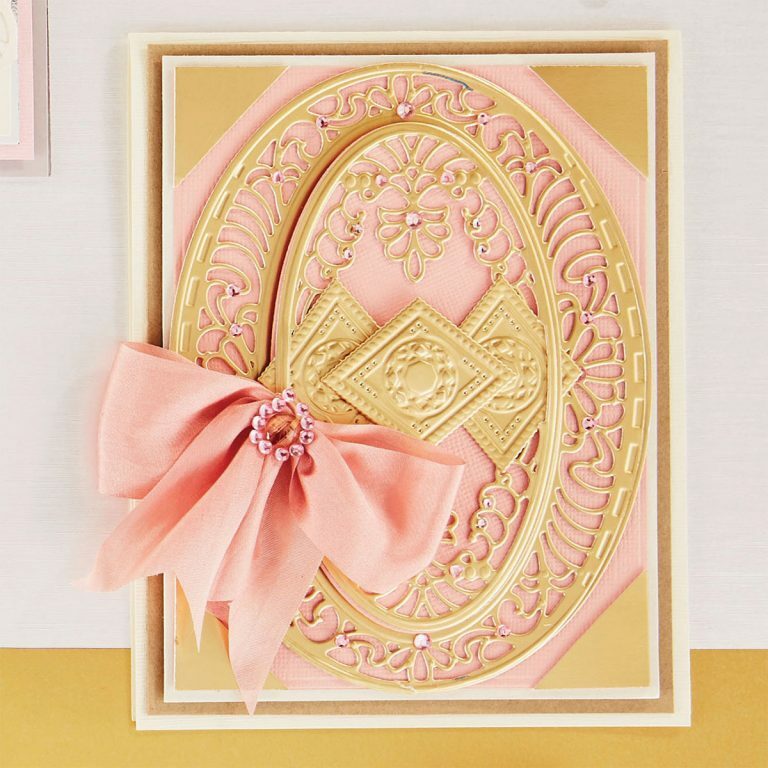 The calligraphic swirls and lots of open airy space make this unique marquise shape a layering go-to. Whether simply threading ribbon through or adding classic shapes on top – what peeks out is intriguing. I loved this shape so much, that it is also available in a glimmer plate. As a bonus, the outside rim in this set will cut out the Marquise glimmer plate as well as a marquise shaped glimmer companion coming for Christmas. The inspiration for this piece was an actual piece of jewelry. Befitting, because I longed for a die that carves out a place to land pearls and this makes that option available. With a halo of pearls and plenty of real estate inside for a sentiment or some layering, the spoked design reminds me of the many things suspended from a chatelaine. Both an outside rim, inside label shape and the ability to cut it inlaid bring multiple functions to bear. 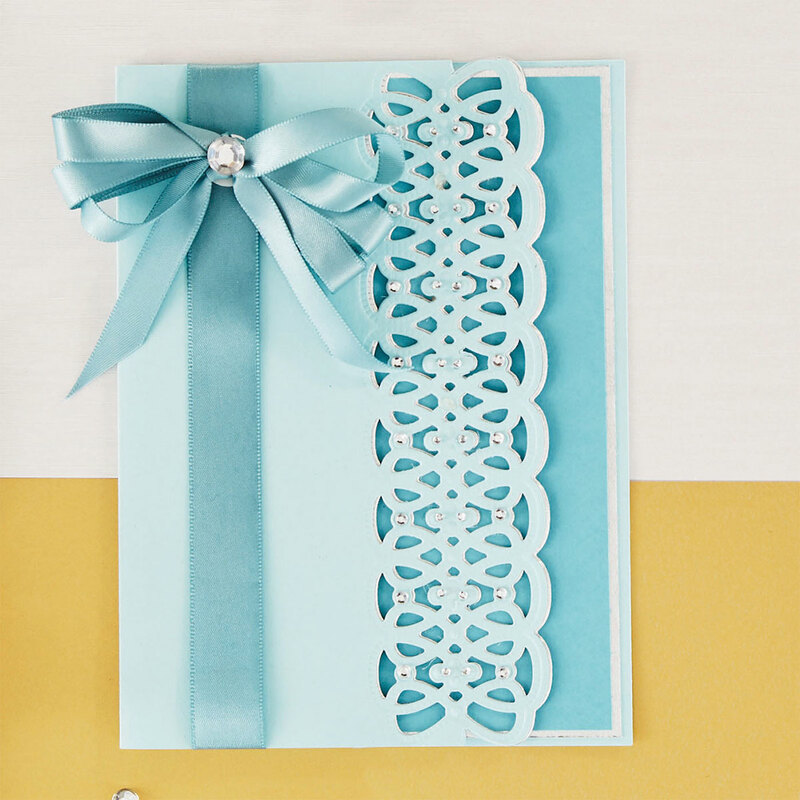 No Amazing Paper Grace collection would be complete without a Cinch and Go Flower to add to the mix. Each petal type is interchangeable with the petals in Cinch and Go I – IV and all feature a hole in the center for easy stamen threading or for each anchoring on a pearl pick. That anchoring makes flower styling easy for those who say they don’t know how. One large die piece keeps you from chasing the petals on your die platform. We say toss this petal cluster on your platform every time you have spare room to create a petal buffet that is available when your floral heart wants to create! 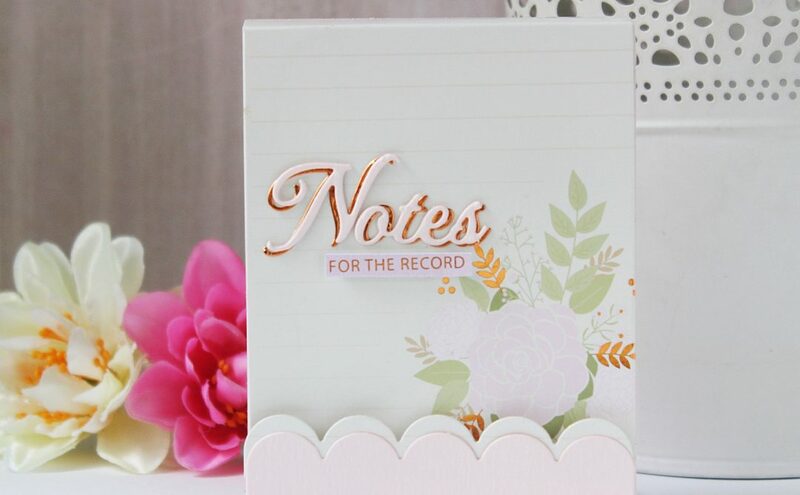 There’s always one totally fun piece in each collection and the Adorned Notepad is it!! 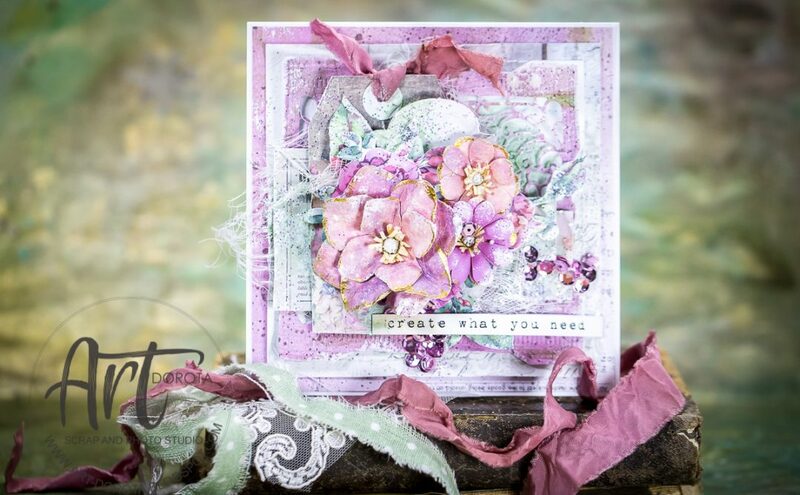 I created it because with a collection full of embellishment-worthy dies, there needs to be something to embellish. 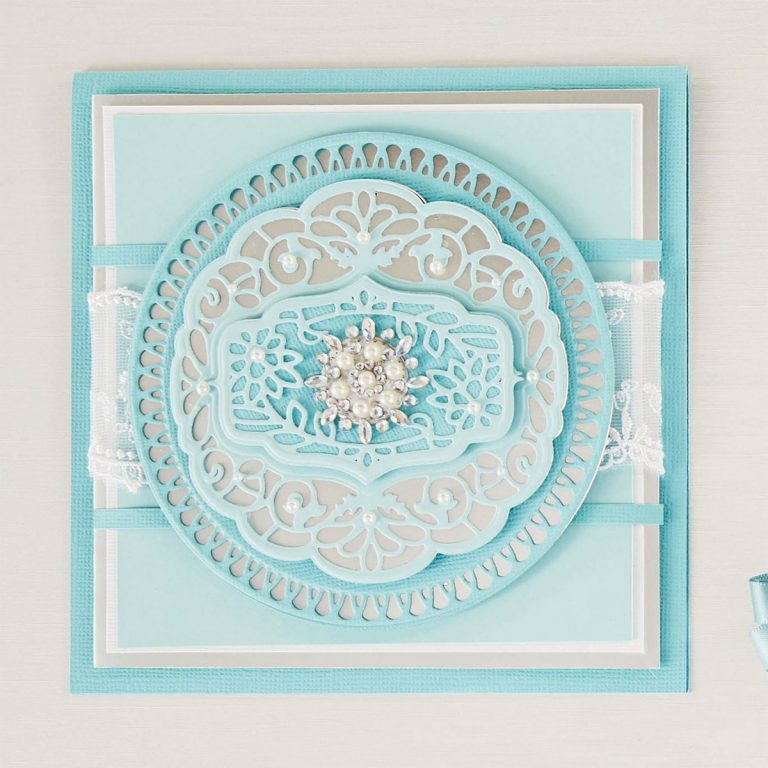 Snippets of inside medallions, flowers, and borders fit perfectly on this useful item. I always carry a pad in my purse and with this notepad, there is a pencil holder. 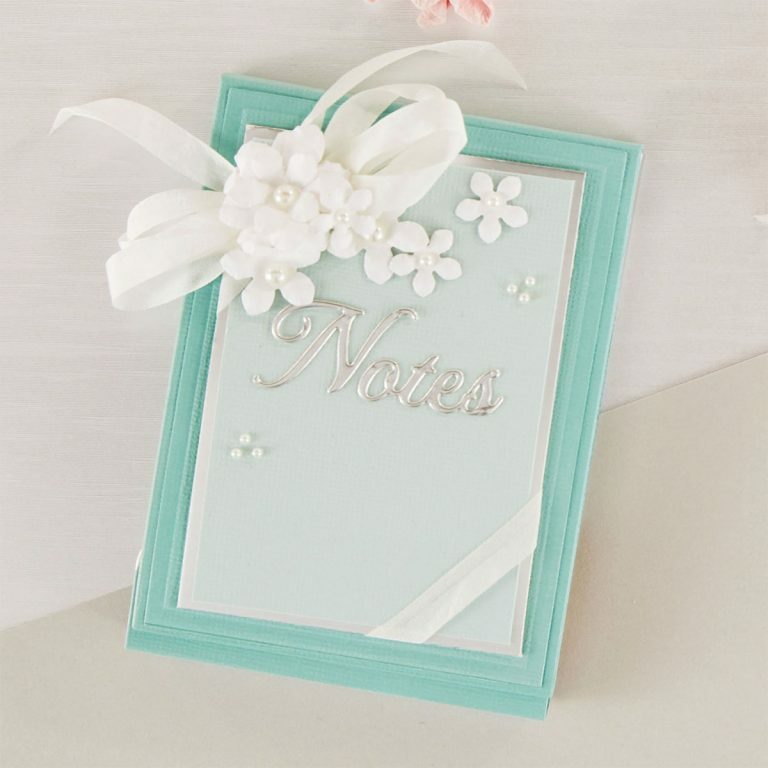 It is sized to accommodate a sticky note pad and also, mini junior legal pads which the office supply can cut in half and trim across the bottom, fit handily inside. Beautiful things inspire our creativity, tickle our dreams and expand our hopes. I create with things within my reach by laying them out so that I can touch them, see them and bring them to life. Over time I’ve learned that a buffet of pretty things inspires you to use them. I hope you look on Vintage Treasures as a present-day Hope Chest that you can reach into for a buffet of textures, wisps of the past and pretty things that you can tuck and clip and layer into your creations. Beautiful! When will these beautiful die cuts be available for purchase? Great work Becca. Thanks. Wow, Becca, you did it again! Love this new collection! Wow, Becca! What a gorgeous release! I’m in love with the Infinity link border and those sweet little cinch and go flowers. Actually, I love it all! You are amazing! Awesome Awesome Awesome! Definitely more for my want list! My favorite is the Belle Luce oval….but all are marvelous!